The “One Belt, One Road” project is about more than securing China’s economic future: it is a serious attempt on the part of Beijing to introduce a new form of diplomacy – high time the EU engages with it. President Xi Jinping first launched China’s ambitious “One Belt, One Road” initiative during a visit to Astana in 2013. The New Silk Road concept, which merges both the land-based Silk Road running from China via Central Asia to Turkey and the EU with the Maritime route running via the Indian Ocean and Africa to Europe, aims to improve connectivity between China, Asia, and Europe. It has received wide-spread interest; however, there has been no official EU response to it yet. Spurring the ailing Chinese economy: The phase of double-digit growth which underpinned China’s unprecedented rise from a poverty-ridden laggard to the world’s second largest economy in only one generation is over. Indeed, the Chinese economy will unlikely be able to uphold the target of 7 percent GDP growth which the government has projected for 2015, and a further slowdown seems inevitable. Given the massive overcapacity in the manufacturing sector, the vast and largely inefficient state-owned enterprises with falling return on equity, a relatively ineffective financing system, real estate bubbles, high land prices, and increasing environmental pressures, China urgently needs to find new economic engines. The “One Belt, One Road” focus on infrastructure development clearly suits China’s state-owned enterprises nursing an overcapacity headache. However, as the demand for infrastructural development in Central Asia is far too high for any single country to satisfy, even for an economic giant like China, Beijing has decided to take the lead in setting up a multi-sector, multi-party cooperation project of historic dimensions – in sharp contrast to austerity-driven economic policies – and intends to use new markets along the belts to absorb Chinese domestic overcapacity. We can already see new investment trends: the opening of Iran and the emergence of new energy hubs like Ethiopia and Mozambique should drive energy infrastructure. Growing industrial outsourcing to Africa (in the garment and other light industries) should drive the need for more container hubs and deep sea ports along the Indian Ocean coast. Newly established free trade zones along the extended Suez Canal should drive the development of the building material industry for rapidly urbanizing Egypt. Energy-hungry and populated Pakistan – where China is building a nuclear power plant – should see massive investments in grid, power systems, and energy-intensive industries like cement and glass, as well as transportation infrastructure. The – very successful – first step in the implementation of the New Silk Road, the setting up of the Asian Infrastructure Investment Bank (AIIB) against Washington’s explicit opposition, is meant to complement the efforts of the Asian Development Bank. It constitutes a strategic move to organize a novel framework for collective regional financing, building on the best practices of the old Bretton Woods institutions, but introducing a new concept – a “lean, clean, and green organization”, its Chairman-designate Jin Liqun called it. Alleviating China’s hunger for resources: China’s domestic stability will depend largely on its continued ability to convince its citizens that they have a realistic chance to benefit from the nation’s increasing prosperity. Although China’s model is beginning to change from quantitative to qualitative growth, its appetite for energy and resources will remain strong, at least until 2030. A long-term, secure, and efficient supply of energy and other scarce resources will thus be one of the preconditions for stability. As a consequence, China’s foreign and security policy has shifted from a passive role of securing national sovereignty to more actively engaging in strategic areas of national interest, with secure access to natural resources and energy being one of its priorities. The “One Belt, One Road” initiative can be seen as a key mechanism safeguarding these interests. If one looks at the geographical spread of the New Silk Road project, the northern mainly land-based belt has an obvious task: further paving the way for exploiting China’s western neighbors’ natural wealth – gas, oil, water, and scarce minerals. New gas pipelines and smart grids from Russia and Central Asia will help develop China’s western regions, which have not fully profited from the country’s boom as the eastern coastline provinces have. At the same time, better roads and railway networks linking corridor states will certainly help push the development of new and potentially large markets. The Maritime Silk Road, which connects China with sub-Saharan Africa as well as the Middle East and North Africa, including Iran, will create new deep water harbors and hubs in South Asia, East Africa, and the Arab peninsula for the secure and efficient transportation of oil and other strategic resources to China. China’s proposed maritime route will also reduce its current over-reliance on the Strait of Malacca for international shipping, a narrow corridor which is frequently under threat by terrorists or pirates and is closely watched by the powerful US navy. At the same time, the maritime road will support Chinese exports to markets from South-Eastern Asia via India to Africa. Building soft power through inclusive governance: Neither objective would resonate well with the corridor states or target economies if it seemed as though China were only pursuing its own national interests. That is why the “One Belt, One Road” initiative is conceptualized as an integral and systematic project, making policy coordination, facilities connectivity, unimpeded trade, financial integration, and people-to-people bonds key objectives of cooperation between all participating countries and organizations. Countries along the routes are expected to coordinate their economic development strategies and policies, work out joint plans for regional cooperation, and jointly provide policy support for the implementation of large-scale projects. To translate high-flying intentions into actionable policies will nevertheless be a major challenge. It will require not only trillions of dollars of funding, but also an innovative business culture and a new form of cooperative diplomacy to assure China’s neighbors that they will profit from this initiative. This was indeed the key message transmitted by President Xi at the Boao Forum in March 2015 when he stressed that the initiative was open and inclusive, rather than exclusive, representing a jointly orchestrated concert of countries along the routes, rather than a Chinese solo venture. No doubt the initiative is a clear signal by China to its Asian neighbors and other global actors that Beijing is offering a new kind of cooperation that will be distinctly different from the “Western”, and in particular US, approach to global governance – which in Asia is often perceived as intrusive, dominated by exclusively Western interests and values, and characterized by imposing the Western-style system of free markets and liberal democracy. China, in reverse, is claiming that the “One Belt, One Road” project is an inclusive framework, open to all who wish to join, irrespective of their current political and economic systems. The adherence to the international legal principle of “non-interference with the internal affairs of another state,” which is key to China’s foreign policy and is often perceived as a sign of defensive Chinese policies, is thereby given a positive spin: connectivity and inclusiveness as new parameters of a modern form of diplomacy. The “One Belt, One Road” initiative must, therefore, be seen as a major effort by China to improve its soft power image, which is badly needed. This will, of course, not be easy, as China will have to prove in practice that it is really ready to accept cooperation with smaller countries in the “Silk Road corridor” on equal terms, in particular in view of China’s evolving concepts of responsibility of power and “hierarchical harmony”. None of these grand plans will be realized if there remains a lack of trust and confidence. Hence, people-to-people exchange is visibly underlined in China’s initiative, which includes a whole spectrum of mobility programs that promote cultural and academic exchanges, professional training, media cooperation, youth and women exchanges, and volunteer services. The Strategic and Geopolitical Importance: Last but not least, the core of the “One Belt, One Road” initiative may well be China’s strategic calculation to stabilize its highly volatile western neighborhood, reaching from troubled Central Asia via fragmented Pakistan and war-torn Afghanistan to the terror belt in the Middle East. As the Autonomous Province of Xinjiang remains the strategic entry point for drugs, illegal migration, weapons, and trained terrorists from Afghanistan, Pakistan, and the Fergana valley into China, the stability of this vast western region is of utmost security interest for Beijing. It is of course within China’s legitimate interest to build a cordon sanitaire of regional stability. Its leadership firmly believes economic prosperity will be the only way to maintain peace in this region. Beijing has resisted labeling “One Belt, One Road” as its own “Marshall Plan”, but in the mind-set of Chinese leaders, the commonality of economic interests among the corridor nations and a sound infrastructure bond will be the best way to prevent any potential regional conflicts, making it the most viable way to export China’s model of development – the right to develop irrespective of political ideologies. At the same time, the initiative sends out a clear signal: China is ready to take on a greater role in regional and global governance. Over the past decades, Beijing was an “agenda follower” rather than “agenda setter”. An era that was characterized by the key principle of a “peaceful rise with a low profile” seems to have come to an end. China’s economic power and political weight are strong arguments for Beijing that its development must not continue to be subject to rules decided predominantly by industrialized nations. Beijing intends to be more pro-active in protecting its national interests. Its demand is to have a role in further developing the structures of global governance. Based on a mixture of Marxist and Confucian traditions, the Chinese leadership has started to articulate more explicit policies towards regional and global governance, through concepts such as the “Harmonious Society” of former president Hu Jintao and Xi’s “new type of major power relations.” These concepts, mostly ignored by Western governments, are not just slogans. They have led already to a number of visible changes in China’s foreign engagement: the Shanghai Cooperation Organization, the BRICS and their new Development Bank, G13, and economic fora such as the Summer Davos in Tianjin/Dalian and the Boao Forum. This strategic shift is potentially a game changer for global governance. China’s explicit focus on the wide definition of inclusiveness, the right to development, and non-interference into the sovereignty of states, coupled with a relatively fuzzy management style of these new governance structures, will inevitably challenge the current “Western” principles of global governance. “One Belt, One Road” is meant to better connect the two ends of Eurasia: dynamic East Asia with the economically powerful, if presently ailing European Union. It is supposed to help accelerate the formation of an integrated Eurasian market, including Russia, opening new business opportunities for Chinese and other international companies, and accelerating the export of goods and services to this vast regional market, thus supporting the further opening-up and reform of the Chinese economy. 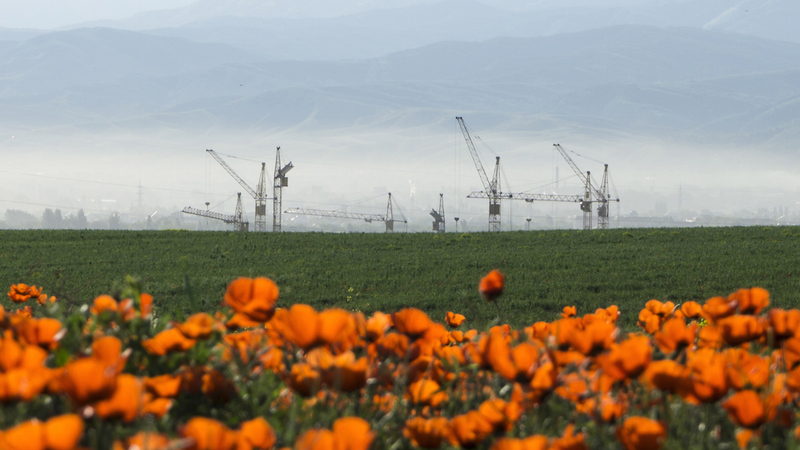 By providing modern infrastructure to the adjacent corridor states, the intended windfall profits for the target economies in Central Asia are clear: more jobs, more income, more prosperity, and more stability. The “One Belt, One Road” initiative has been welcomed by all Central Asia countries – at least officially. The prospect of Chinese and other partners’ funds for developing Central Asian infrastructure with all its assumed positive side effects is tempting. On the other hand, there remains an underlying anxiety stemming from the potentially overburdening presence of the key player in this scenario: China. This is why, from the Central Asian perspective, a strong role by the other adjacent big player, Europe, would be of great importance. The trust in the EU’s ability to balance the Chinese influence in the region should not be underestimated. This alone would be a good reason for Europe to engage. But there are, of course, more good reasons for the EU to consider a role bigger than that of a bit player. While 14 European countries joining the AIIB as founding members have sent a first signal of Europe’s strategic interest, the European Union as a whole has been little more than lukewarm. The ball is now in Brussels’ court; the EU needs to decide if and how to engage with this emerging process. And while Europe continues to struggle with its own internal crises – from Greece to refugees – it should make the New Silk Road its own strategic priority and start shaping the “Silk Road” concept proactively. For the EU, there is a convergence of some key interests, both with China and the corridor states: regional stability in Europe’s eastern and southern neighborhood, which is particularly sensitive in view of the present influx of refugees into the EU, a problem that will require a qualitatively new cooperation between Europe and its neighboring regions; opening new markets for European goods, services, and finance in times of higher volatility in global markets, which for export-driven economies is of great strategic importance; and further diversifying Europe’s energy supply, by improving the connectivity of regions thus far inaccessible for European companies. Europe could also use the New Silk Road as a door opener in the increasingly difficult but critical Chinese market itself, as China will need allies when engaging in Europe and beyond. Last but not least, cooperating with the “One Belt, One Road” initiative could give a new impetus to the Organization for Security Cooperation in Europe (OSCE), which is under German presidency in 2016. In addition, it could lead to engagement with the still dormant but potentially thriving Eurasian Economic Union (EAEU), which in turn would be an intelligent move to bring back Russia into an inter-regional cooperation, irrespective of the ongoing conflict over Ukraine. Discussions between EU, the EAEU, and China on a Free Trade Agreement could be a medium-term objective. 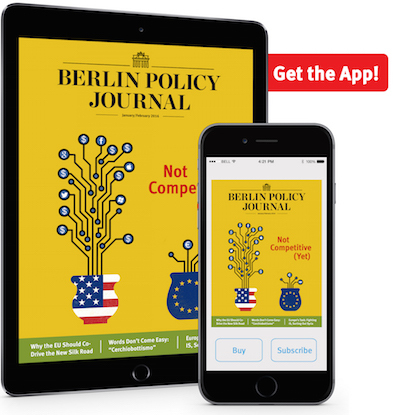 In global terms the EU should use the New Silk Road approach to underline that European governments agree with its underlying principles of connectivity and inclusiveness. Europe needs open markets even more than the US, and would suffer if there were more regional or interregional fortresses, be they in trade, investment, or security. 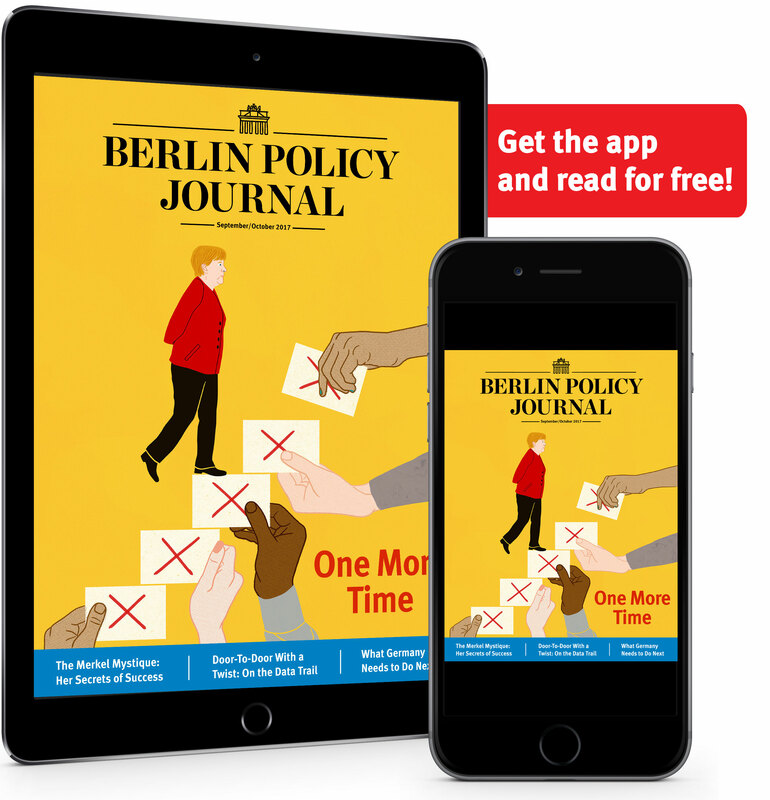 Europe must be interested in engaging with the newly rising global players in Africa, Asia, and Latin America – even if the rise of a multipolar international system will take longer than expected by many, it will certainly come. The EU should build relations with powers like China, India, and Brazil, allowing them to start designing a new architecture of global governance for the 21st century together, on a level playing field. This will require a radical rethink on the part of Western governments that are used to pre-negotiating the terms of reference for the rest of the international community. However, it also demands patience on the part of newcomers when building sustainable new structures with the old stakeholders. China’s New Silk Road may well represent an authentic attempt by the world’s second largest economy to start this new kind of diplomacy based on inclusiveness, equal opportunity, and the respect for the diversity of cultures and political systems. The EU should take China’s offer seriously – and act soon. WEI SHEN, Director of Lancaster University Confucius Institute and Jean Monnet Chair in EU-China Relations, and ANDRÉ LOESEKRUG-PIETRI, Chairman of A CAPITAL Funds, contributed to this article. 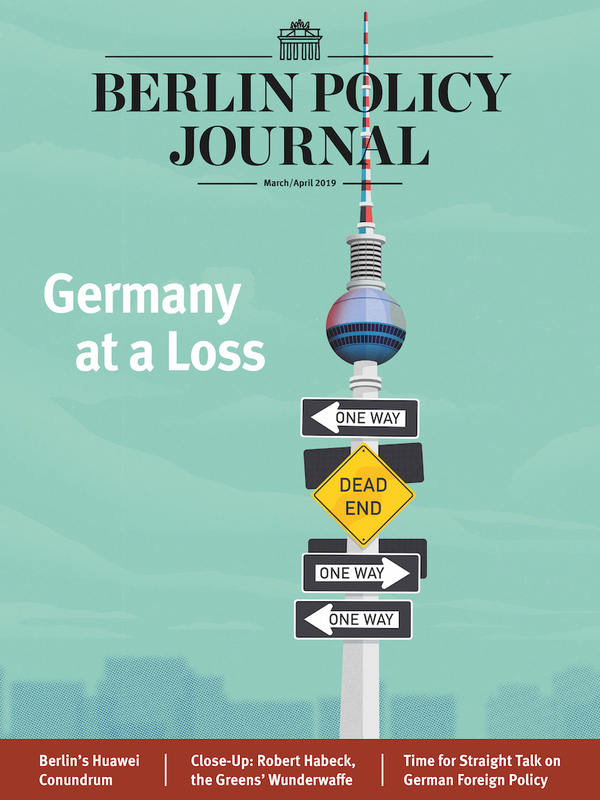 Read more in the Berlin Policy Journal App – January/February 2016 issue. is Chairman of the BMW Foundation Herbert Quandt. From 2007 to 2013, he served as Germanyʼs Ambassador to Beijing.